If you’re in a long distance relationship, the next couple of weeks could very likely break your spirit. But it doesnt have to be that way! Valentine’s Day can be daunting enough for regular couples but if you’re doing the long distance thing, it can get pretty rough. The distance feels almost twice as much when you’re surrounded by happy couples and friends making plans for dinners out, Netflix nights, or romantic walks. If this sounds like you, don’t worry! 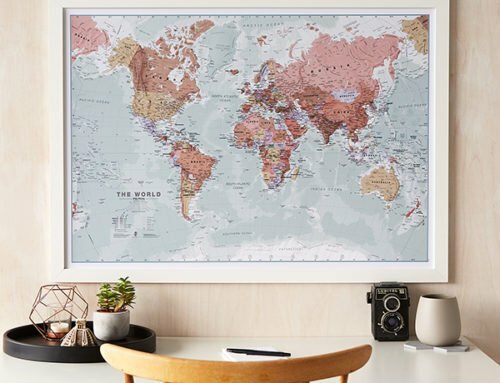 We thought we’d take some time here to give you a heads up on the absolute best Map Gifts, for everyone out there who might be in this situation, or know someone that is. 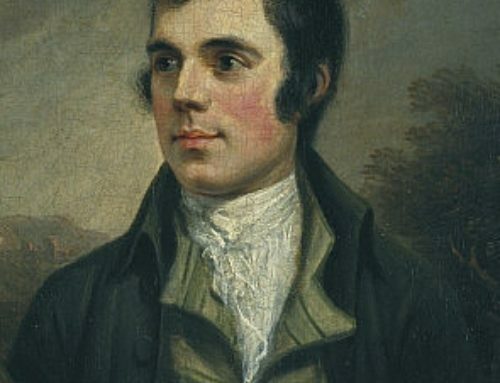 There’s also no one correct way of celebrating Valentine’s Day, and we’ve blogged in the past about how different countries approach this day in different ways. We also have some fun suggestions, in case you’re still scratching your head about it! Who says Valentine’s Day is all about the other person? When you’re in long distance, it’s important to make time for yourself as well. 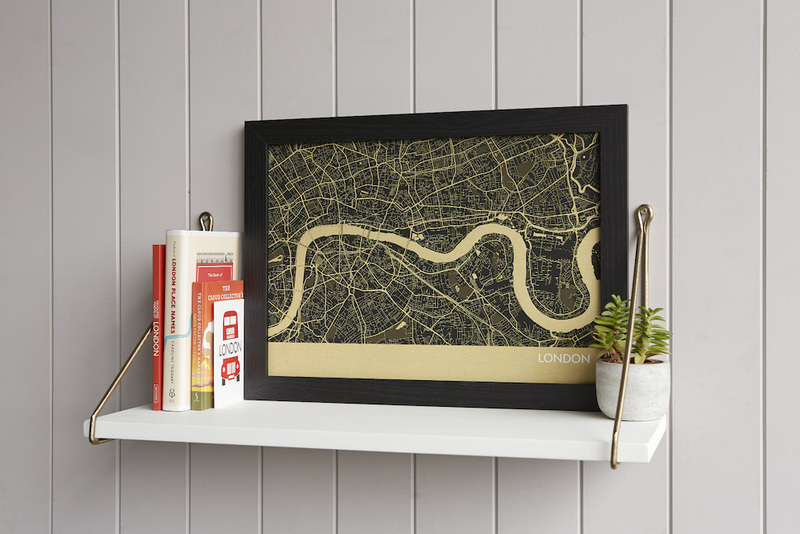 Any of these maps can be a great choice to brighten up your home! When you’re hundreds of miles away, sometimes you need a reminder of the place you call home, and the memories the two of you made. 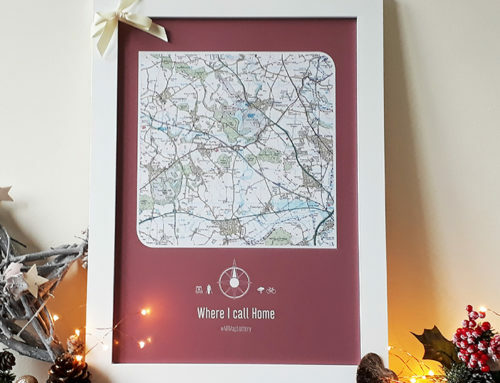 You can have these maps personalised with a message or an inside joke that just the two of you will understand! 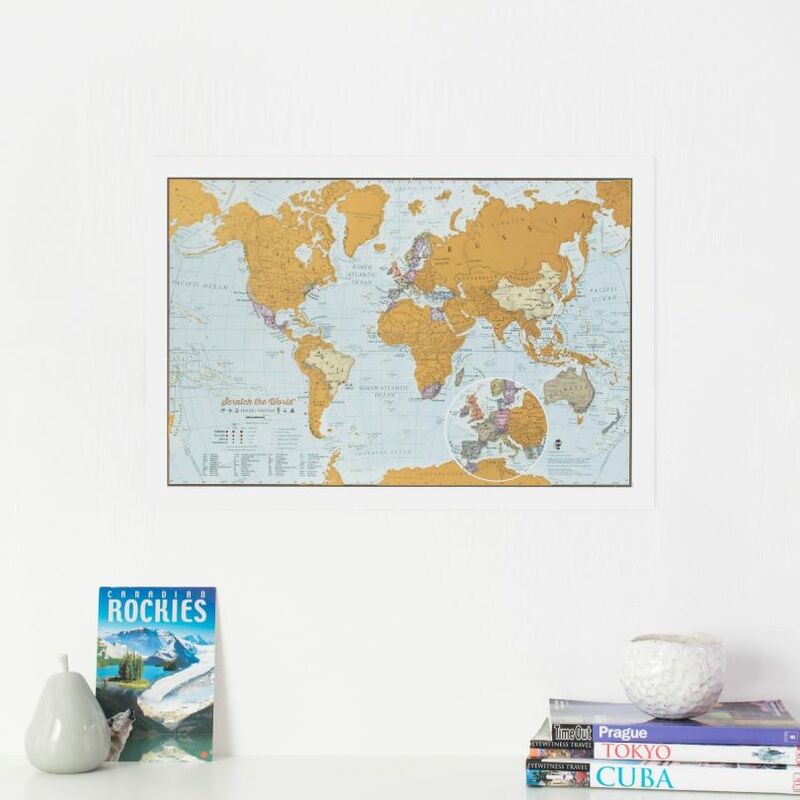 If you’re not crossing continents, but there’s still a couple of motorways between the two of you, you can get creative with a UK Classic Map. 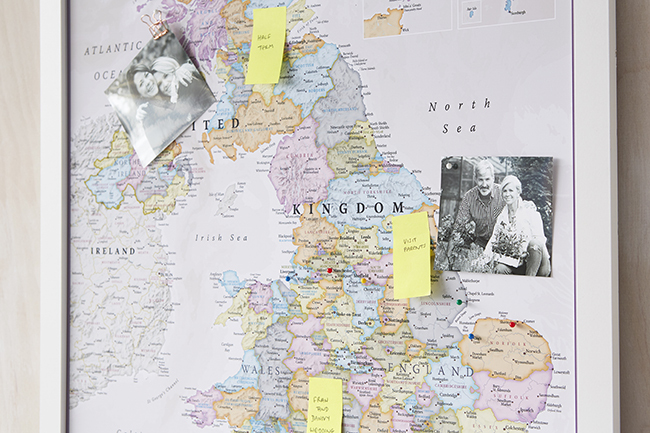 Use photographs of the two of you, push pins to mark where you’ve travelled together, or messages in ink, and you’ll have a keepsake of all the best memories you’ll want to cherish! 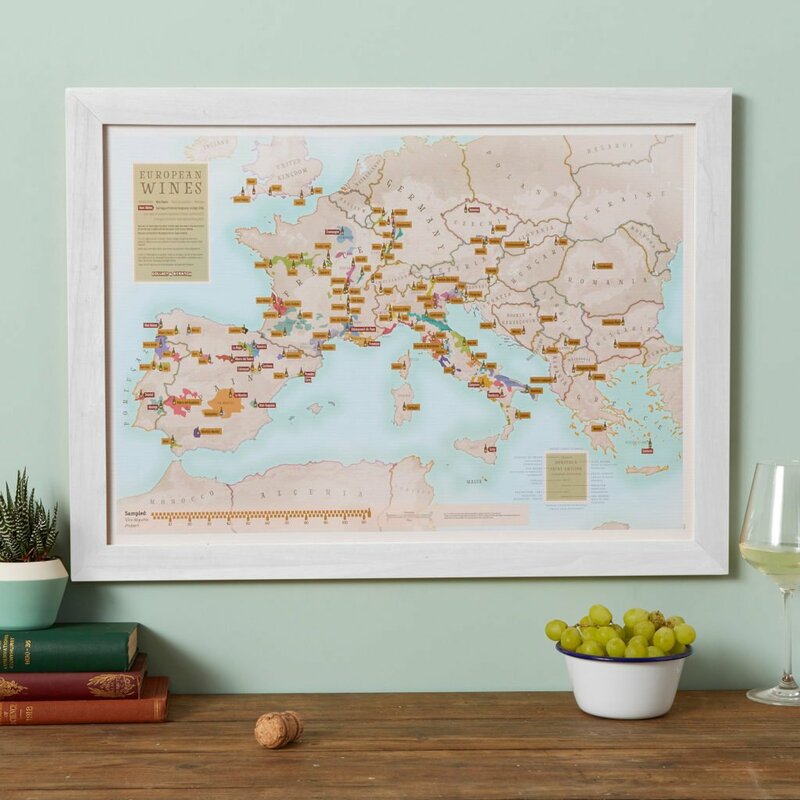 Of course, it goes without saying that you can gift this map to others, but at the end of a long and tiring day, you sometimes want to kick your shoes off and open a bottle of wine you haven’t quite tasted yet. 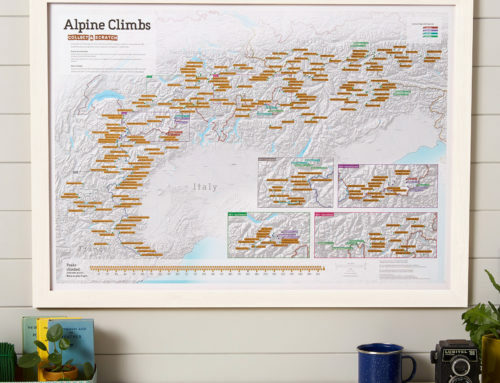 Or you could even make this a challenge between the two of you to see who can finish scratching off their map first, sampling a distinct new European wine and comparing notes over video calls every week! Anyone who’s been in a long distance relationship can attest to the fact that the best way to keep the magic going, is to schedule some form of regular contact and stick to it. Whether that’s care packages that fly back and forth, a regulated video call, emojies that fly back and forth, or emails it’s important to let the other person know that you’re thinking about them, without appearing clingy from miles away. 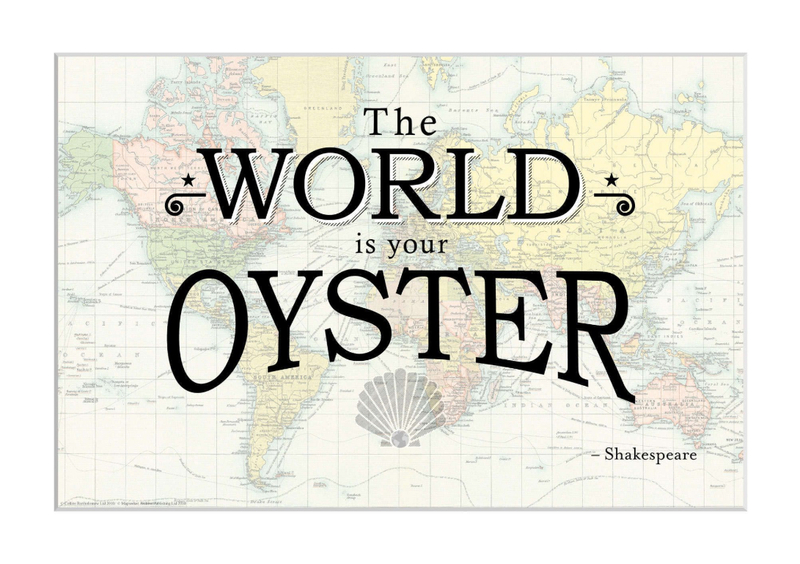 It’s a delicate approach, and you’d be surprised how a map can cut through all that awkwardness! Pick your location, then select theirs. Give us your names and a personal message you want to have written at the bottom of this map and watch their heart melt from miles away! Oh and if you’re based in the UK, we have a Custom Postcode version of this map that you can personalise further! 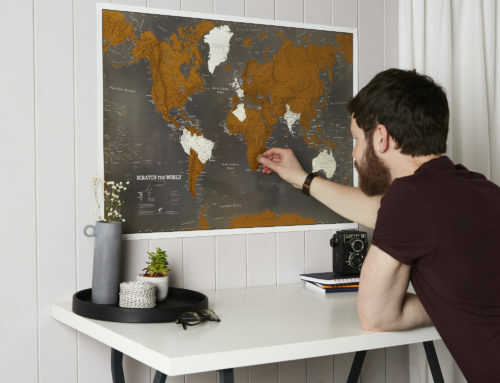 Try and schedule a video call or get someone to record their reaction as they open one of these Personalised maps. This A3 sized wonder is the best way for you to remind them of all the holidays you’ve taken together. 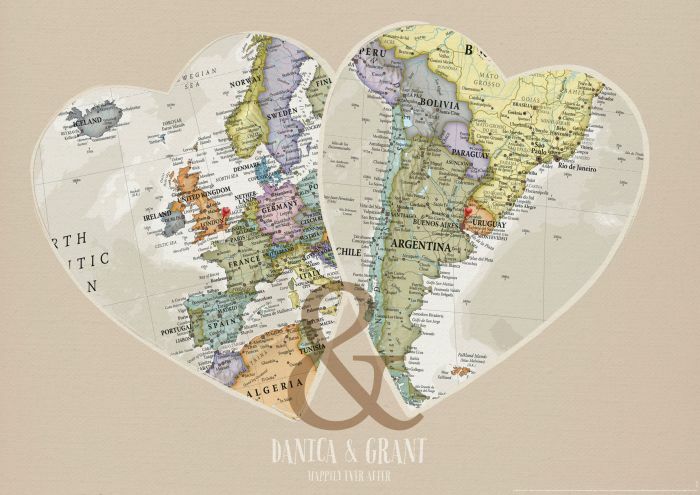 You can even personalise a message for them at the bottom of this map to let them know you’re thinking of them. 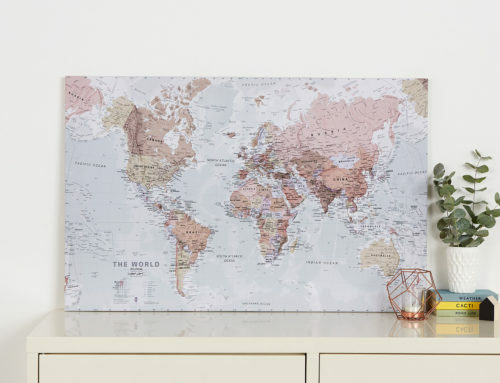 If you’re separated by continents you can make a fun game with this map. Mark the countries that separate the two of you and scratch them all in. 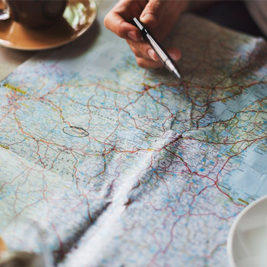 Then plot how you’d get from one place to the other with a fake travel plan that you can join up with pushpins and a piece of string, or draw a line between the two countries. For added brownie points, use this plan to surprise them at some point this year! As much as you may miss them, sometimes it’s important to show your support for what they’re shooting for, whether it’s a blossoming career move or expanding their horizons with education abroard. 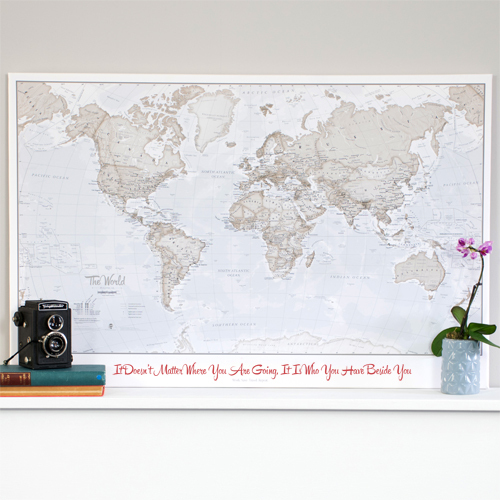 A World Is Art Neutral Map with a personalised message can be perfect in this regard. If you wanted to shop for any of these maps or others like them, make sure to check out our stunning Valentines Day Map Gift Guide filled with lovely maps for all occasions!